This course is designed to provide an introduction to digital information technology concepts and careers as well as the impact information technology has on the world, people, and industry and basic web design concepts. This program offers a sequence of courses that provides coherent and rigorous content aligned with challenging academic standards and relevant technical knowledge and skills needed to prepare for further education and careers in the Information Technology career cluster; provides technical skill proficiency, and includes competency-based applied learning that contributes to the academic knowledge, higher-order reasoning and problem-solving skills, work attitudes, general employability skills, technical skills, and occupation-specific skills, and knowledge of all aspects of the Information Technology career cluster. This course is “Hybrid” which means the majority of the assignments will be completed online while in the classroom each day. Students MUST complete at least 60% of the online portion of this course in order to receive a credit. We will do the majority of this work in class. The credit earned in this class can be used as the required online credit, fine arts credit, or elective. Student will work with the Guidance Counselor to determine how the credit will be used. ACADEMIC INTEGRITY (PLAGIARISM): Cheating will not be tolerated. A zero will be given to a student for any assignment(s) pertaining to cheating. OFFICE HOURS: Student can contact me to work in the classroom or request additional assistance. I will gladly schedule a time which is mutually convenient. Be prompt - Be ready to learn when class begins. Be prepared - Have materials with you and know due dates. Be a polite and positive participant - Speak in a normal tone of voice, and listen attentively. Be productive - Turn in work on time, and always do your best. Be a problem solver - Correct problems quickly and peacefully before they escalate. Enter the class quietly - NO horseplay! Read the assignments on the projector screen – Get Busy! ONE student allowed out for the restroom at a time. Student MUST sign out and sign in. NO restroom breaks during lecture/teaching time or when guests are present. (3) restroom passes per student, per week. You have (5) minutes between class as well as (5) other classes to take restroom breaks. Emergencies are an exception. Tardiness: If you are not in YOUR SEATS when the bell rings, you are tardy. When you come in Tardy, do not interrupt the class. Sign in and drop your tardy pass in the designated slot. 2nd Tardy - you will be required to complete a writing assignment and a phone call will be made to your parent(s)/guardian(s). 4th Tardy - earns you a REFERRAL. Tissues and hand sanitizer available and free to use as needed – located on back table. Water in closed container is acceptable. No food/candy/soda/gum. We will promote the positive use of technology by discouraging/prohibiting cyber-bullying, avoiding plagiarism and following copyright laws. All students will be required to read, understand, and acknowledge the Marion County Public Schools (MCPS) Acceptable Use Policy as well as the classroom Internet Guidelines (below). The AUP states that "it is a general policy that the network will be used in a responsible, efficient, ethical and legal manner in accordance with the mission of MCSB." Every student has a copy in their Code of Student Conduct Handbook. 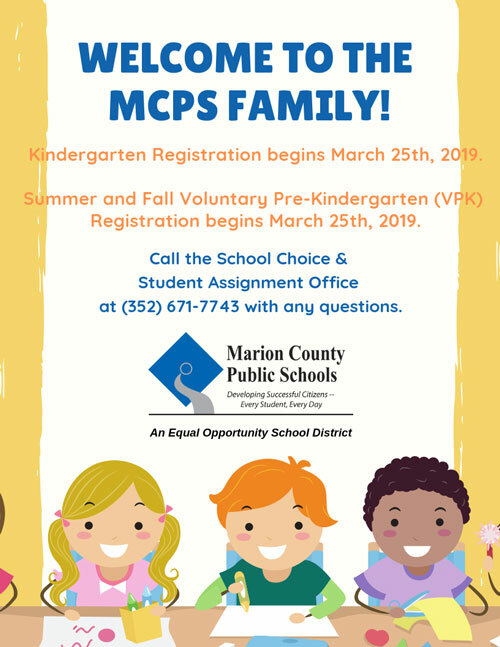 You are responsible for reading and having a full understanding of the guidelines of the Marion County Public Schools Acceptable Use Policy. Students have access to the MCPS Student Desktop (www.marion.k12.fl.us) from home where students can access school email, which we will use within the academic perimeters within this class. They also have use of Microsoft software such as Microsoft Word, Excel, and PowerPoint from home, via the Desktop. ALL MCPS policies regarding computer/internet use must be adhered to 100% of the time. CELLPHONE USE: Students may use phone for educational purposes with teacher permission. All other times, phone is silenced and put away. Internet use if for educational purposes only. Do not try in any way to interfere with the computer systems within Vanguard High School/MCPS, in an effort to obtain private information, have the computer to malfunction or destroy data. No using profanity, obscenity, or other language that may be offensive to another user. Copying commercial software and other copyright protected materials is a violation of copyright laws. No using the network for ANY illegal activity. Do not download programs, files, games or ANYTHING without permission. If when surfing, a site says that it wants to download something, you must say NO and then inform the teacher. The INTERNET may not be used during class time unless approved by the teacher. Nothing is to be printed from the INTERNET without permission. DO NOT visit public chat room(s) or unacceptable site(s). Third Offense: Referral AND all computer privileges may be taken away. Parent/guardian will be notified. Disciplinary action and/or appropriate legal action may be taken.